Collecting vintage radios, TV's, records, and art-deco items. Hiking and biking. Old movies - of course Film Noir, but also all the classic comedies including Laurel and Hardy, Abbott and Costello, The Marx Brothers, The Three Stooges, W.C. Fields, etc. In general a big-time nostalgia buff. +1 It's a total gem from beginning to end with all the classic Noir elements. Duryea and Scott are at their best. I have to agree although I would not discount seeing it to the Film Noir buff. It is quite suspenseful. I just watched "Cause For Alarm" (1951) starring Loretta Young and Barry Sullivan. I remember seeing this many years ago and it paled as a Film Noir compared to the classics. At this point in time I am reviewing all these ones I passed on and finding them very enjoyable. This movie reminds my of an old "Suspense", "The Whistler", or "The Inner Sanctum" old-time radio show put on film. It's a simple plot but very compelling and suspenseful. Loretta Young does very well adding much tension to the film. Without giving it away, it's about a bed-ridden and delusional husband (Sullivan) hell bent on destroying his wife's (Young) life. She keeps caring for him understanding that he's sick - that is until he reveals to her that he got a very incriminating letter out to the DA. Things happen making Young desperate to get that letter ASAP. It likely wont be in your top-ten, but still a good one to have on your list. I knew you would like it. Yes, it seems Widmark was just making a name for himself in that one. Never would he play such a menacing role. Oh, I have another MUST SEE Widmark film noir for you! - "The Street With No Name" (1948) - Widmark is a tough gangster again in that one. You'll really enjoy it. Another total noir classic. Looks like an interesting movie. As a side note, would you believe Conners was Brooklyn born? He just doesn't seem to fit that image! I'll just cut the chase and just say Columbo is the best. Of course it must be the early classic episodes ending with the 7th season. Not even all of those are classics, but most are. I have the complete set and I've watched them all countless times and never tire of them. Superior acting by all and the writing was so good. Falk was simply born to do that role. A lot of thought was put into them too to be very believable. After you watch these, most others pale in comparison in my opinion. 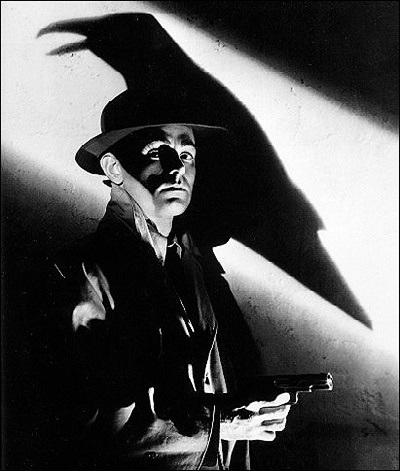 Just for "The Killers" alone Siodmak was brought to the tops ranks in Film Noir in my opinion. Then you have "Criss-Cross", "Cry Of The City", and "Phantom Lady". Three Noir heavy-hitters. What more needs to be said? !